Not even half of the last slam of the year has been played and already many interesting names found themselves booking their flights off from New York because of a shocking upset before time. There have been plenty of upsets in both the men and women singles draws, but quite a few were actually stunning and opened up different possible scenarios in the final economy of the Open. Contrary to what is usually thought to happen, a lot of seeds fell in the early days of the men draw with Gulbis, Melzer, Monaco, Dimitrov, Pair all losing in the first round. Same fate for a few more names you wouldn't guess beforehand, if not for their seeding, for their level of game: Fognini was stunned by the young American Ram winning 5 games only in the whole match; while Almagro lost another one-sided match to the Underdog Denis Istomin. The biggest surprise came from the United Kingdom though, as coming from qualies, Daniel Evans, world n°179 before this week, stunned with his bright and various game the 11th seed, Kei Nishikori in round 1, just before achieving another quality win over the Australian Promise Tomic in the second round. The British run was stopped only by the very solid performance of veteran Tommy Robredo, who needed four tight and long sets to finally prevail and reach the 4th round, where he will be facing Federer. 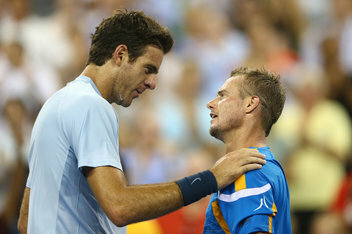 The biggest surprise of the tournament in the male draw happened when the 6th seed and former champion Juan-Martin Del Potro was ousted in the second round after a terrific marathon battle of almost 4 hours won by the former world number one -and nowadays unseeded- Lleyton Hewitt. Del Potro showed the sign of a not-so-stunning form earlier in the first round, when he needed a great effort to pass through the opening round against Garcia-Lopez. It still remains a great result for the Australian, that year after year never gives up and quite a few times can find the game and the attitude of the champion he's been many seasons ago. The women tournament started with a breaking news as Maria Sharapova/Sugarpova decided to withdraw from the US Open due to a worsening of the conditions of her operated shoulder, that might actually force her away from tennis courts until the next slam in Australia in January. Her absence opened in the draw a few more chances as the seeding changed in favor of Italian Sara Errani, upgraded to the 4th seed and hence with a bigger chance to defend her last-year SF. Sarita came into this US Open with a lot of pressure because of this high seed and the ghost of this SF to defend, what's more, her results this summer were far from the ones of her best weeks, but the draw looked very kind to her as in the very first round she had no problems dispatching Australian Rogowska with a double 6-0. 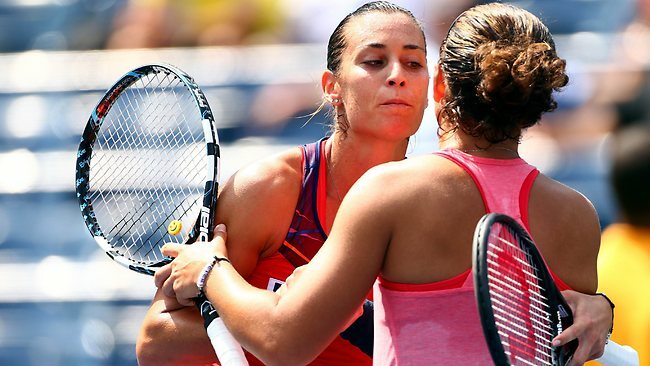 In the second round though, her run was promptly stopped by another Italian, whose love for the US Open is so big that she could find her best tennis after a year of struggles to recover from a severe wrist injury: Flavia Pennetta. The 3-time QFinalist in Flushing Meadows showed one of her best versions of her self outplaying Sara in every department of the game closing the match in a rapid 6-3 6-1 built on 33 great quality winners. The first ever Italian top 10 went on fighting for a place in the 4th round against the former champion Svetlana Kuznetsova, whom she had never beaten in their 5 previous meetings. The Russian clearly is not the same player as she was a few seasons ago, but the Italian pulled a great and gutsy performance to overcome the power of Svetlana. In her 30s Pennetta found her first ever back to back slam 4th rounds, where she'll have another big hurdle to face: Simona Halep, the revelation of this summer and fresh winner of New Haven, who needed way less than one hour to win her 3rd round match against Kirilenko, seeded 14th, whose only credit for the match was to win that one game to avoid the double bagel. 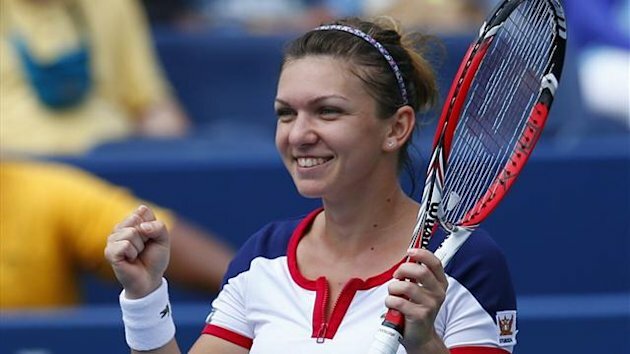 The match might be a great quality one as both players play a smart and bright tennis, made of both defence and offence, but despite the head to heads that see Flavia leading, Halep is the big favourite heading into this one. , surprising finalist of Toronto crushed in round 2 by the hands of Japanese qualifier Kurimi Nara; Magdalena Rybarikova, winner of Washington and solid throughout the summer, was defeated by Austrian lucky loser Patricia Mayr-Achleitner and among the others Klara Zakopalova, whose lost to Hsieh could even pass unnoticed if it wasn't her 10th straight loss in the first round of the American slam. Round 3 was then the grave of two more big names, whose career seem to be following some sort of a common pattern, despite the completely opposite playing style: Caroline Wozniacki and Petra Kvitova. If you believe that those two were battling for the world number one no longer than one and a half year ago, it might seem impossible, especially after witnessing the matches that ended their runs. Petra won only 3 games in her match against American WC Allison Riske, a girl that she had defeated no longer than last week, even though in a long and tight match. This time the American came on court confident after the great win of German Mona Barthel and her game clicked so well that soon the Czech lost the plot and after the first set, she almost gave up the fight surrendering fast. Quite a different story the one of Caroline Wozniacki, who seemed to have found a better game and more confidence during the summer, but that suddenly seemed to be fallen back to her insecurities and fears, which in the end cost her the match against Italian qualifier Camila Giorgi. The Italian is well known in the tour as a very talented shot-maker, able to produce great power and at the same time very capable of moving well. Yet in the first set Caroline seemed to be able to contain the power of the Italian and at times re-use it for her own acellerations: up of a set, Wozniacki found herself close to break Giorgi's serve and capture all the momentum to flow with an easy two sets win, but after a 18 points-long game Giorgi hold serve and her confidence reached a new peak, while suddenly Wozniacki started to fear more and more the possibility to acutally lose and so her game became passive and soon her forehand broke down giving many free points to Giorgi, who winner after winner built a great performance which in the end deservedly gave her the 4-6 6-4 6-3 win worth of the round of 16.